Investors from abroad willing to benefit from the interesting business environment in Seychelles can run their operations through different types of companies under certain conditions. The time of incorporation will lead to a fast entrance on the market, but for a suitable company registration in Seychelles, you are invited to get in touch with our team of company formation agents in Seychelles as soon as you decide for business in the insular state. Offshore companies in Seychelles are the most popular business structures in the archipelago and are also known as IBCs or International Business Companies. Because the tax regime is appealing, meaning that there is no corporate tax imposed, numerous investors decide to protect their assets through IBCs in Seychelles. An offshore company in Seychelles can be set up in about 14 days if the Articles of Association and the Register of the directors are submitted to the Seychelles Registrar Companies. It is good to know that IBCs in Seychelles or offshore companies are established in complete privacy and the information of the owners are not displayed publicly. Another favorable business form in Seychelles is the limited liability company or the proprietary company as it is known. This kind of company can be established in approximately 4 weeks with complete support offered by our company incorporation specialists in Seychelles who can also act on behalf of your firm without you having to travel to the insular state for formalities. The Special License Company in Seychelles can be registered in respect with the local legislation and particularly the Companies Special License Act of 2003, with a minimum share capital of 1 USD, two stockholders and one company secretary. Investors who decide for this kind of business must know that the registration process takes around 4 weeks. The same registration time is available for branches in Seychelles, another preferred business entity which can run the operations in the insular state under the rules and regulations imposed by the parent company. 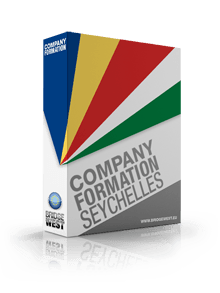 If you would like to know more about company formation in Seychelles, our team of advisors is at your disposal with comprehensive information and assistance. Each business structure in Seychelles must be set up with a business bank account in order to differentiate the personal assets from the ones of the newly-established company. In Seychelles, a bank account can be opened in approximately 3 weeks after a complete verification of the company’s documents. The business bank account is normally used for all sorts of financial operations linked to your activities on the market. Foreigners who want to know more about the time and conditions of company incorporation in Seychelles can contact our team of consultants in company formation in Seychelles at any time.